I was born in Dublin, Ireland but have lived in Salem, Oregon for the last 17 years. You can fit about three Irelands into Oregon because it is a small country. Although Ireland is small compared to Oregon, it has more people, roughly 6 million to Oregon's 4 million. Given that the crime rate in Ireland is about the same as the crime rate in Oregon, you would expect Ireland to have more people in prison. Why then does Ireland have approximately 5,000 men and women in prison compared to Oregon's 14,500? It is because Oregon follows a US approach to crime and punishment, believing it is smarter to send more people to prison, for more types of crimes and for longer sentences. I worked as the Head Chaplain and as a Research Manager in the Oregon Department of Corrections from 2000 to 2010. During those ten years, the department went from having about 8,000 people in prison (much closer to Irish standards) to 14,500. Oregonians had passed new crime laws so the Governor told us to build new prisons to house everyone, and gave us a wheelbarrow load of money to build them. We already knew how to build and run prisons, so this was an easy task for us, and in a few short years we had 5 new prisons up and running, full to the brim. The over 50% increase in the prison population now means that we tax payers give the Department of Corrections $1.4 billion every two years to operate all 14 of our state prisons. The prison building costs and ongoing prison debt payments are extra. Oregon's high reliance on prison approach is certainly more costly than Ireland's approach, but is it smarter and is it necessary? Well, Oregon is doing some things right when it comes to its correctional system. According to a PEW study, Oregon compared to 41 states, had the lowest overall recidivism rate for people released from prison in 2004 - 23% compared to a national average of 43%. Oregon also had the biggest decline in recidivism from 1999 to 2004 - a drop of 32% compared to a national average of 2%. Furthermore, Oregon has experienced plummeting rates of violent and property crime since the 1990s, and ties with New York for being the state with the highest drop in violent crime (over 50%) in the nation since the 90s. 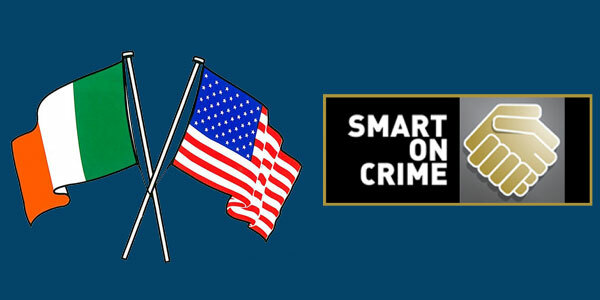 In many ways, compared to other states, we are being smart on crime. In 2013, Oregonians thought we could get even smarter and our legislators passed another new crime law called House Bill 3194. This law emerged from years of study carried out by a special bipartisan Public Safety Commission, set up by Governor Kitzhaber and carried on by Governor Kulongoski. The Commission pointed out that prison rates in Oregon were going to keep increasing, and that we would have to build new prisons we could not afford. The Commission outlined a smarter, more effective and less costly way: the lower risk people, bound for prison, could be safely supervised in the community, others could be sent to prison for less time, the prison population could be capped at 14,500. Then we could reinvest the money saved on prison beds and new construction in the local county-based criminal justice systems and make our communities. This approach became known as the Oregon's Justice Reinvestment Initiative. In 2013/14, the Oregon government reinvested $15 million across all 36 counties to hold offenders accountable in the community, reduce prison use and recidivism and increase public safety. By January 2015, the Justice Reinvestment Initiative had resulted in a net-cost avoidance for the state of $58.5 million. In 2015/16, the counties received $38 million in Justice Reinvestment funds, and it looks like counties will receive about another $38 million in the 2017/18. Analysts say the Justice Reinvestment Initiative will have saved Oregon over $250 million by the end of the 2017-19 biennium. While this has been happening the crime rates in Oregon have continued to drop, and this trend of reductions in prison use and crime is happening in other states too. According to the U.S. Department of Justice, from 2010 to 2015, the nation's imprisonment rate fell 8.4 percent while the combined violent and property crime rate declined 14.6 percent. Thirty-one states have cut the number of people in prison and the crime rate simultaneously. The PEW Charitable Trusts explains it this way "National, state, and local crime rates shift for complex and poorly understood reasons, but experts believe that the long-term decline is the result of a combination of factors, including more effective policing, the waning of the crack cocaine epidemic, the spread of car theft prevention devices and other anti-crime technologies, the reduced use of cash in favor of electronic payments, and the incarceration of high-risk offenders." We can only be smart on crime when we understand what is going on, and that means we must always use data to guide our decisions, and collect data to see if our decisions have worked. Oregon's Criminal Justice Commission understands this evidence-based decision making principle and its website is a national leader in the use of evidence to guide criminal justice decisions. Ross Caldwell works on Oregon's Justice Reinvestment Initiation for the Commission and he captures this approach "A crucial part of Justice Reinvestment is data. There has been a significant shift in many counties across Oregon to making data driven decisions and to paying attention to how they use both state and county resources. This is helping counties determine what programs and local decisions are effective and what can be improved." How smart is Oregon's public policy when it comes to keeping the death penalty on its books? Figures from the Oregon Defense Services and the Department of Justice along with a figure that estimates the unknown cost to prosecute a death penalty case, point out we as taxpayers spend about $28 million every year just to maintain the death penalty system. Surprisingly for many people, a 2016 study by law professors at Lewis & Clark Law School and the University of Seattle School of Law found that it would cost less to house people in prison for life that it does to have the death penalty. I wonder if we could be even smarter on crime in Oregon? What if we passed a new law to do away with the death penalty? The death penalty is written into our constitution, so it would take a vote of the people to remove it; the legislature does not have that power. If Oregonians took this step, the money we would save could be reinvested in our communities to make sure our justice system continues to make us safer and becomes even smarter on crime. Tom O'Connor, PhD, is CEO of Transforming Corrections, a local, national and international consulting firm, and a former executive with the Oregon Department of Corrections. Tom is an OADP board member, and he has helped several counties in Oregon to implement Justice Reinvestment and other smart on crime initiatives. We were aghast, shocked, horrified at the thought of it. The state of Arkansas was going to execute 8 of its death row inmates in the final 10 days of April because the state's lethal injection drugs were about to expire at the end of the month. 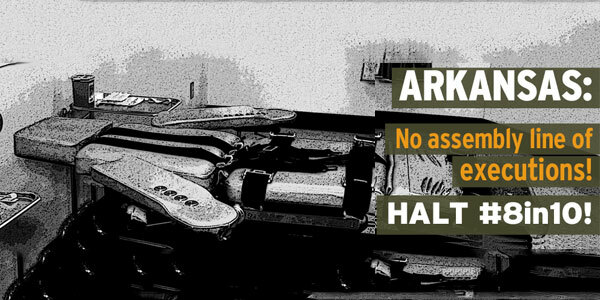 Arkansas' Governor Asa Hutchinson and their Department of Corrections hatched a bizarre plan that awaken America and the world to yet another ugly chapter of history of the country's death penalty. Thousands of Oregonians joined millions from around the globe speaking out with outrage. When the multiple execution plan was first announced, a quick Google search of the words "Arkansas... executions" showed over 7 million inquiries listed for the first article found. Less than an hour later that number of inquiries had risen to 9,700,000. The response was quick and unified in its disgust. In spite of the loud and broad protest in media outlets and direct messages to Governor Hutchinson the efforts to carry out the apparent "will of the people" of Arkansas forged on with their grotesque killing spree. The Arkansas Coalition to Abolish the Death Penalty, scores of murder victim family members, lawyers, activities and other organizations like the ACLU did their best, but could not stop the disgraceful drama that was to take place. Hutchinson and unidentified employees of the Arkansas Department of Corrections carried on. In those last infamous days, the state succeeded in executing four of the men, while courts halted four of the others, before April passed and the drugs to be used expired. The fourth person executed was Kenneth Williams. As reported in Pacific Standard Magazine in an article by David M. Perry, when Williams was a child, his father beat him regularly with a belt. One time, he threw Williams against a wall, injuring the youngster's brain. Besides the trauma stemming from this abuse, Williams was also forced to witness similar violence against his mother and siblings. In school, Williams was diagnosed with severe learning disabilities, perhaps related to the brain injury. Even in the Arkansas penal system three experts examined Williams and determined that he met the criteria for the definition of intellectual disability, which should have protected him. Still the Arkansas and U.S. Supreme Court declined to stop his execution. He died on April 27th. There is a long litany of reasons used in peoples' pleas to stop the killings. One argument that the Pacific Standard article highlighted was the glaring question "How many death row inmates are intellectually disabled and not eligible for execution under the Supreme Court ruling prohibiting such state-sanctioned killings?" As a concept, disability includes diverse types of conditions and needs, so maybe it's not a surprise that there's no comprehensive database to track all possible disabilities among America's prisoners. We know, though, that a high percentage of prisoners are disabled, especially on death rows and have at least one disability. FAR FROM BEING AN INSTRUMENT OF JUSTICE, THE DEATH PENALTY REFLECTS AND INTENSIFIES BROADER INJUSTICES RESIDENT IN AMERICAN SOCIETY. So what can we do with our frustrations, our anger over the Arkansas killings, our seeming inability to stop the killings and put an end to the death penalty in Oregon and these United States of America? It has been the lasting position of Oregonians for Alternatives to the Death Penalty that our task is to promote a robust discussion about the death penalty and the many issues that stem from having such a public policy. It is our task to encourage voters and legislator to lean about, think about and talk about the death penalty in order to make an informed decision when it comes time to vote on a ballot measure to repeal the law and eliminate it from the state's constitution. Those robust discussions and conversations can start in our homes, over the dinner tables, in our living rooms and on back porches. The discussions should be fueled with facts, academic studies, information from authorities in criminal justice and people intimately involved with law enforcement or family experience with violence and murder. Watch the pages of the OADP newsletters and features on the oadp.org web site, for direction on how, when and why everyone should engage in such discussions and conversations. These discussions and conversations are paramount to moving away from more violence, in the form of executions, and toward criminal justice that is smart on crime. We do not want to hear about or endure another situation like April of 2017 in Arkansas. The Conversation, produced in the Willamette University School of Law auditorium on March 16, has been seen in multiple replays in many Oregon communities. 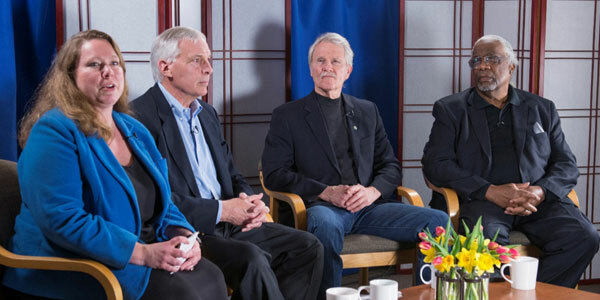 Public access community cable outlets around Oregon have picked up on the gripping conversation that took place among former Governor John Kitzhaber, former director of Oregon Department of Corrections Dave Cook, and former superintendent of the Oregon State Penitentiary Frank Thompson. With outstanding productions values provided by producer Allen Taylor of Now Video, the hour-long program is gaining considerable viewing and accolades. Cable outlets in Salem, Portland, Beaverton, Eugene, Monmouth, Independence, Tualatin, Oregon City, Milwaukie, and several others have had multiple telecasts shown on their community access channels. Many will continue to air the program through June. You can view The Conversation online on the oadp.org web site. The discussion among these three men is gripping and provides unique insights into their hearts and minds as they struggled with the tasks of carrying out the only two Oregon executions in the past 53 years. The OADP Advisory Council is of great value to our efforts to move toward repeal in Oregon. 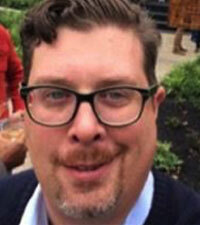 The latest addition to the council is Portland's Lance Mayhew. "Killing human beings is immoral", states Lance as he explains why he wants to serve. Well known in the Portland area for things other than criminal justice work, he is both a print and radio journalist, as a food, drink and travel writer. Also, in his background is experience in prison ministry, as a volunteer with Crossroads Bible Institute, creating positive relationships inside and outside prisons. Couple this experience with marketing, public relations and government relations provide Lance with much to add to our OADP efforts to engage with Oregonians from all walks of life. In addition to joining the OADP Advisory Council, Lance has expressed interest in serving on the OADP Correspondence Committee. This committee make sure that every death row inmate has at least one person who is interested and caring enough to build a healthy relationship someone on the outside. The nation's death rows are shrinking more rapidly than new defendants are being sentenced to death, according to a new Bureau of Justice Statistics (BJS) statistical brief, "Capital Punishment, 2014–2015." 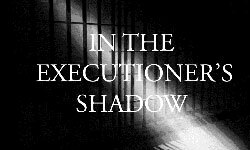 The statistical brief, which analyzes information on those under sentence of death in the United States as of December 31, 2014 and December 31, 2015, documents a continuing decline in executions, new death sentences, and death row populations across the U.S. 2015 marked the fifteenth consecutive annual decrease in the number of prisoners under sentence of death in the U.S. According to BJS, 69 prisoners were admitted to state or federal death rows in 2014 and 49 were admitted in 2015. On Friday, May 26, Alabama Governor Kay Ivey signed into law a statute denominated the "Fair Justice Act," which is designed to shorten the state death-penalty appeals process. The law constricts the amount of time death-row prisoners have to file appeals, imposes time limits for judges to rule on appeals, and requires prisoners to pursue their direct appeal and post-conviction appeal simultaneously, including raising claims of appellate counsel's ineffectiveness while appellate counsel is still handling the case. The National Registry of Exonerations has found that more than half of all murder exonerations involved prosecutorial failures to disclose exculpatory evidence, and that official misconduct was present in 87% of death-row exonerations of black defendants and 67% of death-row exonerations of white defendants. The study also showed that it took an average of four years longer to exonerate an innocent black defendant wrongly convicted of murder and sentenced to death than a wrongly convicted white death-row prisoner. Thirty years after the crime that sent him to Pennsylvania's death row and 15 years after his case was argued in the U.S. Supreme Court, David Sattazahn was resentenced to life without parole—the sentence he initially received in his first trial in 1991. Prosecutors, defense attorneys, and the victim's family all agreed that a life sentence was the best outcome at this point in the case. Faced with the possibility of a third sentencing hearing and additional appeals, the family of murder victim Richard Boyer, Sr. agreed that dropping the death penalty in favor of life without parole would help bring them closure. "Every time we try to get on with our lives, we're back in court, reliving that night again and again. There has to be an end to this madness," said Barbara Spatz, Boyer's sister. "The death penalty in Washington is like a zombie, not alive or dead, yet continuing to eat its way through precious resources in the criminal-justice system," The Seattle Times editorial board declared on May 21, urging the state legislature to end capital punishment. Washington currently has a moratorium on executions, imposed by Governor Jay Inslee in 2014, leading the Times to declare the practice "effectively dead." But because death sentences can still be imposed, and appeals continue for the eight men on death row, capital punishment is "still alive on the books." The editorial says this "limbo... gives no peace to victims' families." It also leaves prosecutors to decide whether to continue seeking the death penalty, which they have done less often in recent years, "perhaps influenced by the legal uncertainty, the apparent reluctance of some juries and the extra $1 million or more that a death-penalty sentence adds to a murder case."